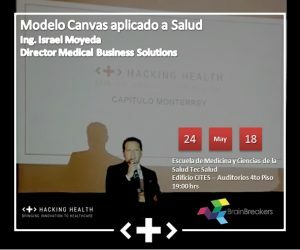 Le 19 septembre au CHU Dans le cadre des cafés Hacking Health, le docteur Abdo Khoury, urgentiste au CHU, partagera son expérience autour de la création d’un insufflateur. Le projet né au CHU a été développé en partenariat avec des entreprises bisontines. Une excellente illustration du « circuit court » bisontin qui permet de passer de l’idée à sa réalisation grâce à un ensemble de compétences disponibles ici. 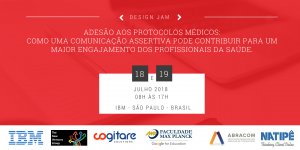 This workshop will show how the platform can be used and serve as an introduction to the tools and technology behind the Chatbots for Health platform. 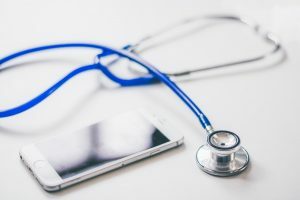 Gain an appreciation of the potential impacts chatbots for healthcare can offer. 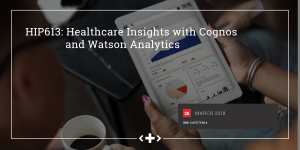 Develop an understanding for the opportunities and challenges associated with implementing chatbots for healthcare solutions. 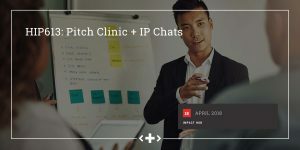 Apply key skills and relevant tools to construct chatbot solutions for healthcare. 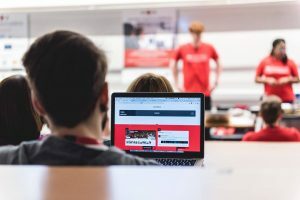 Join us for a hands-on introductory course held by the founder of this platform where you will learn to create your very own chatbot! Join Hacking Health St. John's, in partnership with Eastern Health, on Wednesday, November 29th for a Cafe on Seniors' Health & Wellness. 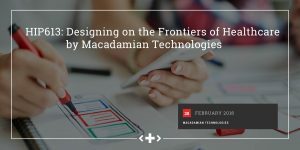 Join us on February 22nd at the Centre de Recherche de l'Institut Universitaire de Gériatrie de Montreal to get insights on how different technology and healthcare solutions can help us age in the best way possible, in the comfort of our homes. The Canadian Institutes of Health Research, Egale Canada, Hacking Health, Rainbow Health Ontario, Cossette Health, and Michael Smith Foundation are partnering for a design jam to support health research trainees to translate research in the area of LGBTQI2S health and wellness into greater health impacts by employing innovative design thinking methods. 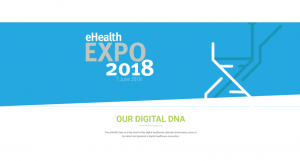 Hacking Health is partnering once again with the e-Health 2018 Conference, this year on a #patientsincluded hackathon set to tackle the pressing healthcare issue of chronic disease management. 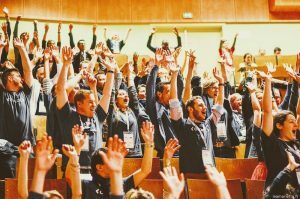 Professionnels de santé, patients, associations, une innovation vous trotte dans la tête ? Vous ne savez pas à qui soumettre une problématique quotidienne ? 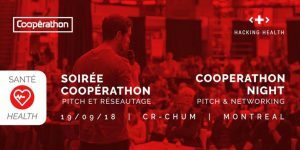 Le marathon d'innovation ouverte en santé est fait pour vous ! 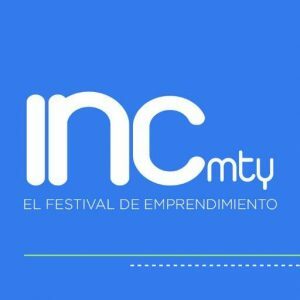 Venez rencontrer ses organisateurs à la MRI Maison régionale de l'innovation située au 64 rue Sully à Dijon (Salle F) - le lundi 11 juin 2018 à 17h30. Ouvert à tous ! Professionnels de santé, patients, associations, une innovation vous trotte dans la tête ? Vous ne savez pas à qui soumettre une problématique quotidienne ? 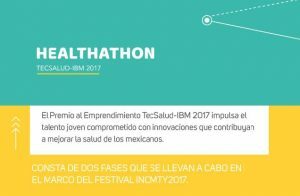 Le marathon d'innovation ouverte en santé est fait pour vous ! 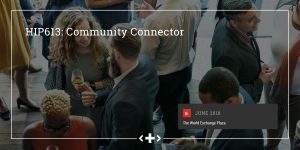 Venez rencontrer ses organisateurs au CHU de Besançon situé au 3 boulevard Alexandre Fleming à Besançon - le vendredi 15 juin 2018. Ouvert à tous ! 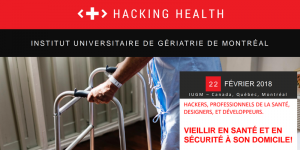 Vous êtes l'un ou l'une des porteurs de défis Hacking Health Besançon ? Venez assister à l'atelier qui vous est consacré ce mardi 3 juillet à 17h30 au sein de l'ISIFC situé au 23 rue Alain Savary - 25000 Besançon. 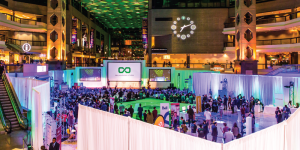 Connect with a multi-disciplinary team of healthcare professionals, hackers, programmers, designers, researchers, entrepreneurs and innovators as we challenge participants to think about solutions for pressing healthcare problems. 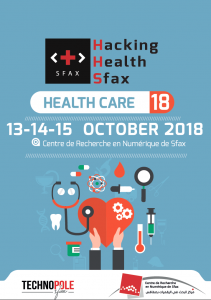 Join Hacking Health St. John’s for our Café on Wednesday, September 12th, from 6 PM to 8 PM at the Faculty of Medicine. ... le grand public pourra suivre une conférence de Pascal Morel, Directeur général de l’Établissement Français du Sang qui abordera les enjeux de l’innovation dans le don du sang. 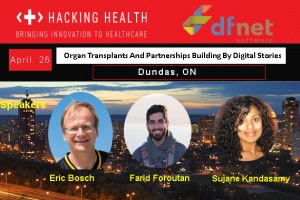 Hacking Health Toronto is proud to present its next event during Toronto Health Innovation Week at MaRS. 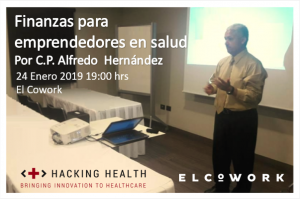 Join us for this THIW kick-off Ideathon and help us reimagine the clinical experience for patients with chronic diseases. 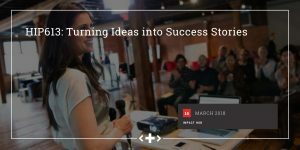 Bring your best budding ideas, brainstorm and pitch your solutions! 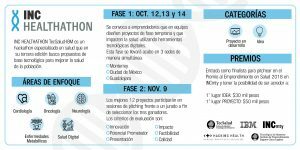 Les inscriptions sont ouvertes ! Il est demandé une participation de 30€ par participant comprenant notamment l’ensemble des repas durant les 48 heures du marathon. N’hésitez pas à nous contacter pour plus d’information. 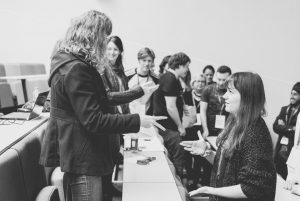 We invite healthcare professionals, scientists, patients, entrepreneurs, engineers, designers, developers, and others interested to team up for a weekend and propel innovation in healthcare. 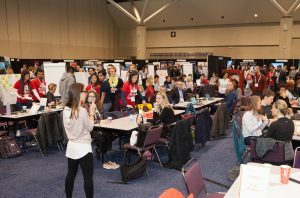 Join us and work together with 120 interdisciplinary experts on different healthcare challenges and compete in the hackathon for prizes and a place in our mentoring program. 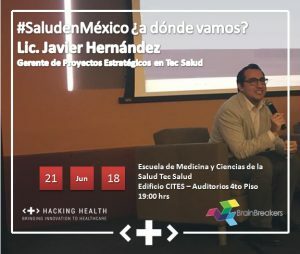 Our vision is to make Hacking Health the largest community for digital healthcare innovation worldwide and tackle the most entrenched problems in healthcare together. 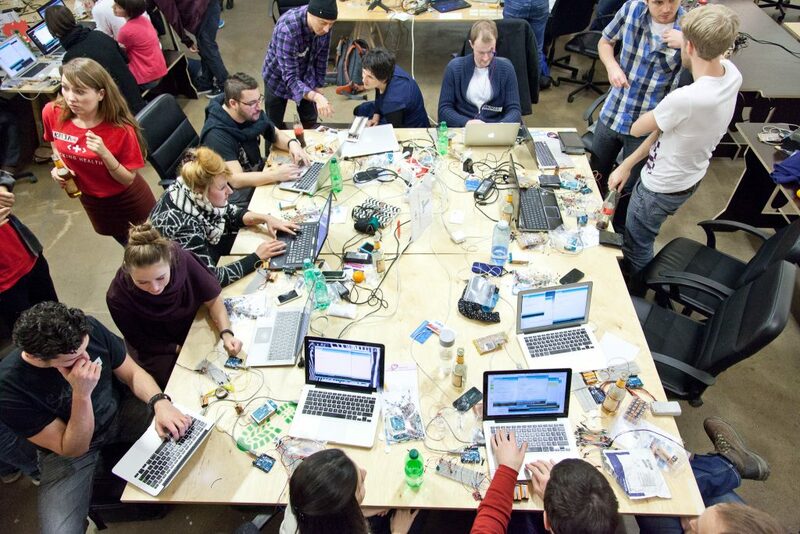 Visit https://hacking-health.org/berlin/hackathon2018/ for more information. 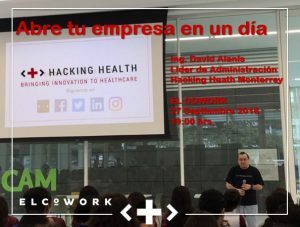 Hacking Health Monterrey te invita a participar en el Meetup de Noviembre 2018 con el tema "Mujeres Emprendedoras en el Sector Salud" que se llevará a cabo el 27 de Noviembre 2018 de 19:00 a 21:30 hrs en WeWork Monterrey, donde contaremos con la presencia de 4 emprendedoras regiomontanas del sector salud. 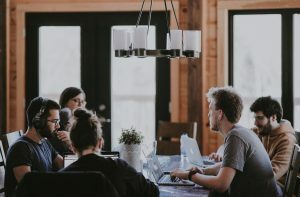 Hacking Health (HH) Cafes: where ideas and people mingle. Here is how the night is going to go: • 6:30 - 7:00 pm: Networking and light snacks • 7:00 - 7:05 pm: Opening remarks • 7:05 - 7:20 pm: Speaker - to be announced • 7:20 - 7:40 pm: Speaker - to be announced • 7:40 - 8:00 pm: Speaker - to be announced • 8:00 - 8:30 pm: Wrap-up and Networking Hope to see you there! 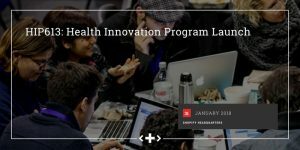 Hacking Health (HH) Cafes: where ideas and people mingle. Here is how the night is going to go: • 6:30 - 7:00 pm: Networking and light snacks • 7:00 - 7:05 pm: Opening remarks • 7:05 - 7:20 pm: Speaker - to be announced • 7:20 - 7:40 pm: Speaker - to be announced • 7:40 - 8:00 pm: Speaker - to be announced • 8:00 - 8:30 pm: Wrap-up and Networking Hope to see you there. 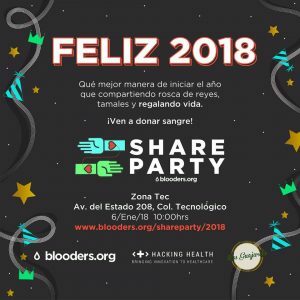 Vous souhaitez participer à un weekend convivial, collaboratif et intensif en faisant avancer la santé de demain ? Cet événement est pour vous ! 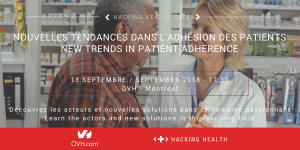 Venez proposer des solutions aux défis lancés par les professionnels de santé et les patients dans 3 domaines différents : la gestion de la douleur, la médecine d’urgence et la médecine en milieu hospitalier. 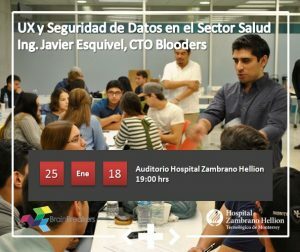 Nous nous réjouissons de vous retrouver du 12 avril dès 17h00 au 14 avril pour la 5ème édition du Hacking Health Valais, qui se tiendra cette fois-ci au cœur du site hospitalier du Valais, à Sion. 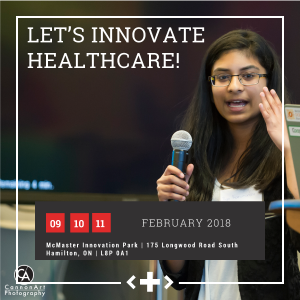 We invite healthcare professionals, scientists, patients, entrepreneurs, engineers, designers, developers, and others interested to team up for a weekend and propel innovation in healthcare. 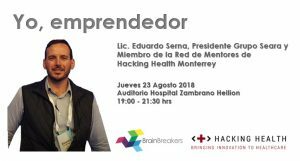 Our goal is to gather 100 experts to work on different healthcare challenges and compete in a hackathon for prizes and a place in our mentoring program. 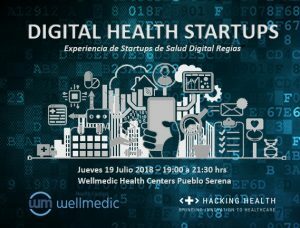 Our vision is to make Hacking Health the largest community for digital healthcare innovation worldwide and tackle the most entrenched problems in healthcare together.